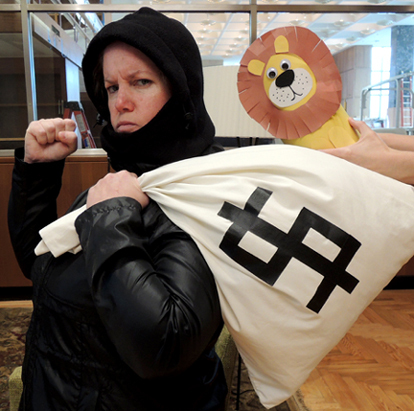 When a sneaky burglar strikes, it’s up to you and your lion companion to save the day! 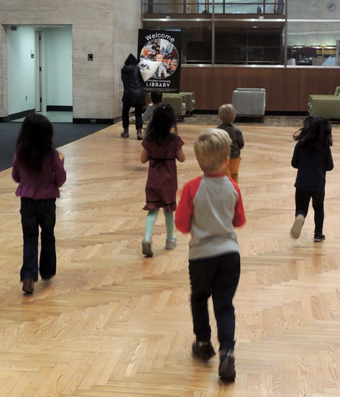 We made these simple oatmeal container lions, and then caught a story time crook. We read How to Hide a Lion by Helen Stephens (Henry Holt, 2012). When a lion strolls into town to purchase a hat, the townspeople are less then pleased. 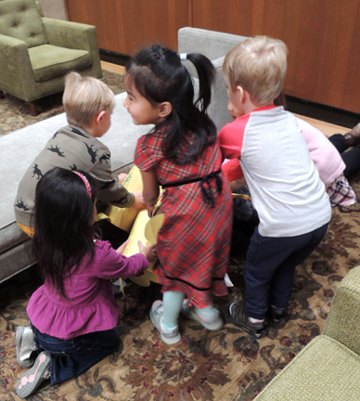 Fortunately, a little girl named Iris isn’t afraid of the lion, and correctly recognizes him as a well-mannered friend. Hiding the lion, however, is a little difficult. And mom is VERY upset to discover him in the house. Hiding in town once more, the lion discovers and thwarts a robbery in progress. This act wins over everyone…except Iris, who already knew how fantastic her lion friend is! 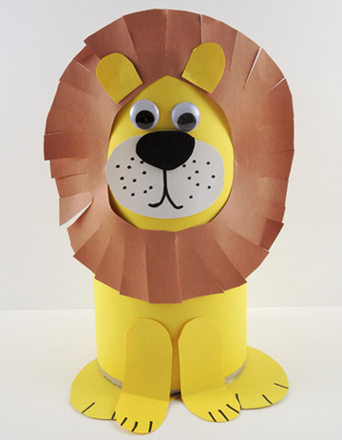 We used construction paper and a large oatmeal container to create your lion. It’s easiest to use hot glue to attach the bottom legs, mane, tail, and eyes to the container. Tape and/or glue works for everything else! You can use black construction paper for the nose, or a bit of self-adhesive foam like we did. Draw the eyes with markers, or use wiggle eyes. Eventually, she was cornered and tagged repeatedly by oatmeal container lions. Which, admittedly, was a first for her! After the triumphant capture of the burglar, the kids returned to the program area to make hats for their lions (which is the reward he asks for in the book). 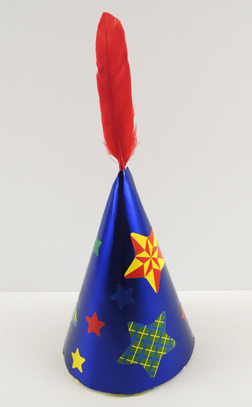 These were cone party hats, cut down to 5″. The kids decorated them with stickers and a duck quill. Very snazzy.